This is by far one of the best orange juices I have had in my life. The large bottle costs a whopping NTD80 but it is worth every drop. 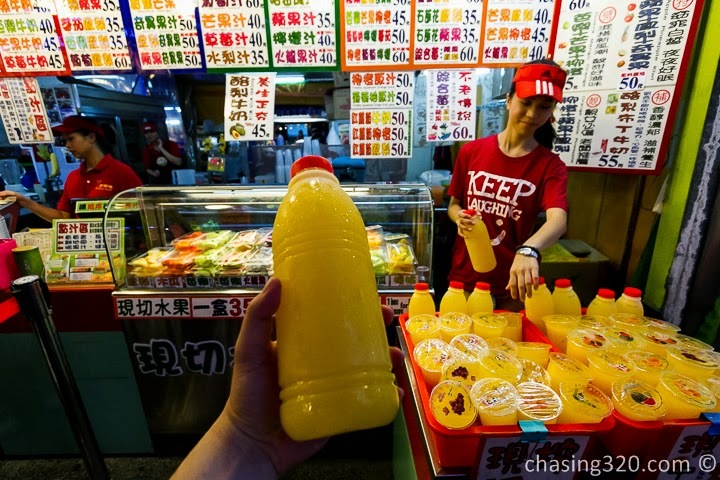 The fresh juice is neither watered down or artificially sweetened. Look at the juice extractor. 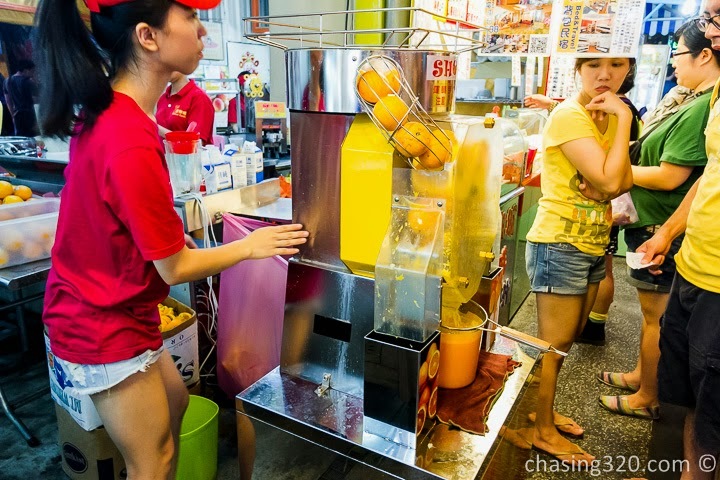 A beautiful contraption that separates juice from orange mechanically. The funny story on this purchase was that as most of you know, my Mandarin is limited. So when I was asked something, I replied in perfect Mandarin that I do not speak Mandarin. The girls thought I was being funny but it was true. I paid for my orange juice and continued walking. 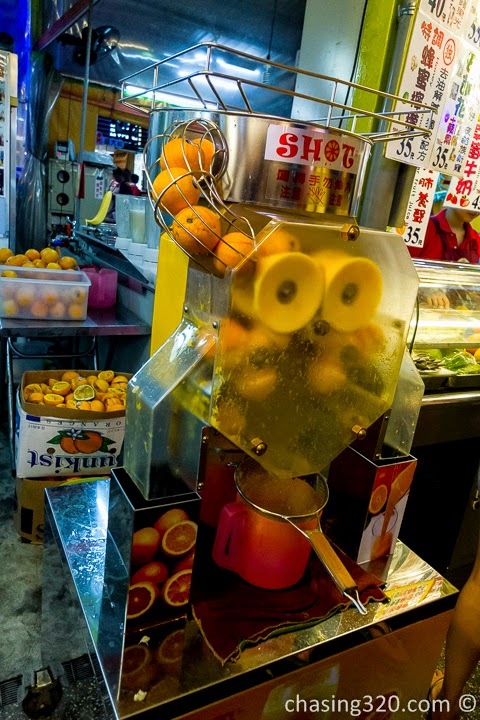 The orange juice was freshly squeezed and cold, perfection. I wish I had this every day and would pay top dollar for this daily. Totally worth it.